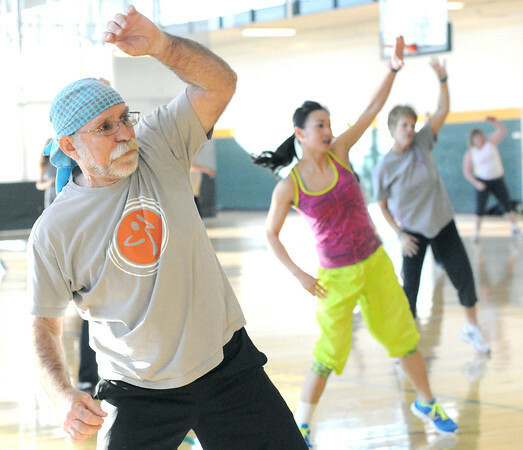 Sixty-six-year old Leny David joins scores of other participants in the Dance It Forward Zumbathon on Friday night at Missouri Southern State College. The event benefitted the Charlotte Olinger Hopper Scholarship Fund and Gyn Cancers Alliance. Organizers said they hope to meet or exceed last year's total of $2,500.